Since our online base has increased nicely, we can start doing some forum events to increase the amount of free rewards you can get ! The first and most basic event every mmorpg has is SCREENSHOT EVENT! Cool, huh? But, since our dev has been so busy decorating the server for you, I think the best we can do to start is making the theme of this event the new decorations! 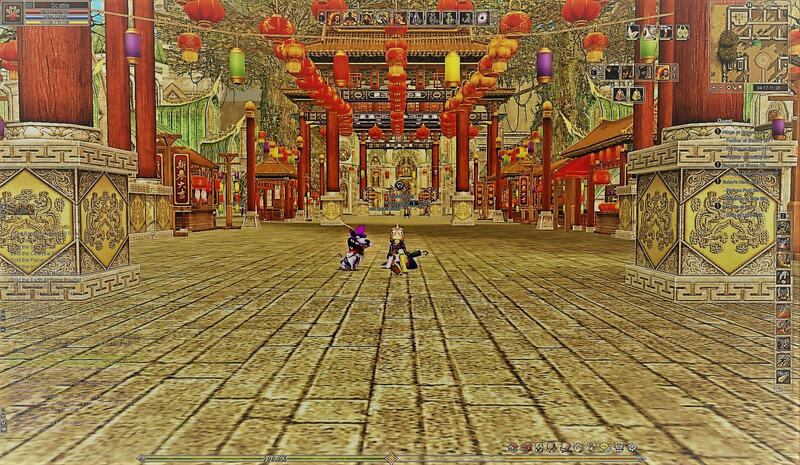 -Take a Screenshot of your character in our server, showing some spot where the new decoration is. -Upload it to some image host, and post the image in our forums. In your post, the image must be visible! (use img tags). -The event will remain open until April 26th! -We will judge the best screenshot! You can always add some effects with design tools, some text, or whatever. But in the end, they must add to an already amazing picture. No amount of editing will make a lame picture good. -Each player can participate only once! We will check IPs! if you get caught with several entries, you will be disqualified! 1st place: One of the following costumes: Golden Blade, The Jester, Pretty Guardian (30 days duration), one of the following pets: Mushu y Rainbow Bird (30 days duration), 750 coins. 2nd place: One of the following costumes: Golden Blade, The Jester, Pretty Guardian (30 days duration), 500 coins. 3rd place: one of the following pets: Mushu y Rainbow Bird (30 days duration), 250 coins. For all that participate 250 coins. How to put an image in your post? To do so, you must first upload the image to some host. You can, for example, use tinypic.com. You click on the "browse" button, look for the image, select it and upload. It will give you several links. the 2nd one has already the img tags included. Copy this one! Paste it in our forums . name of the pic: "Chinese invation, everything looks the same!!"